Islamic Republic Day in Iran is annually celebrated on the 12th of Farvardin, the first month of the Solar calendar. This date corresponds to April 1 in the Gregorian calendar. 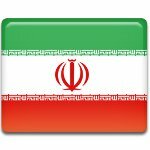 This holiday celebrates the anniversary of the establishment of the Islamic Republic in 1979. Ruling Qajar Dynasty was overthrown in 1921 by Reza Khan, Prime Minister of Iran. He was forced to abdicate after Iran came under British and Russian occupation and establishment of the Persian Corridor, that lasted till 1946. Oil prices spikes in 1973 led to the flooding of Iranian economy with foreign currency, that caused inflation. During the next years an economic recession led to increased unemployment. By 1977 many young migrants opposes the shah's regime and started organization of protest against it. The protests led to the Islamic Revolution, that began in January 1978. The demonstration and strikes paralyzed the country and its economy for a year. The shah had to flee the country. A new government was formed and the Islamic Republic was proclaimed on April 1. Nowadays it is one of the public holidays in Iran.